First year university students often head to school with myths floating around in their brains about what college life will be like. Whether they heard them from friends and family, or took what they saw on TV to heart… it’s pretty typical to expect one thing and experience another. 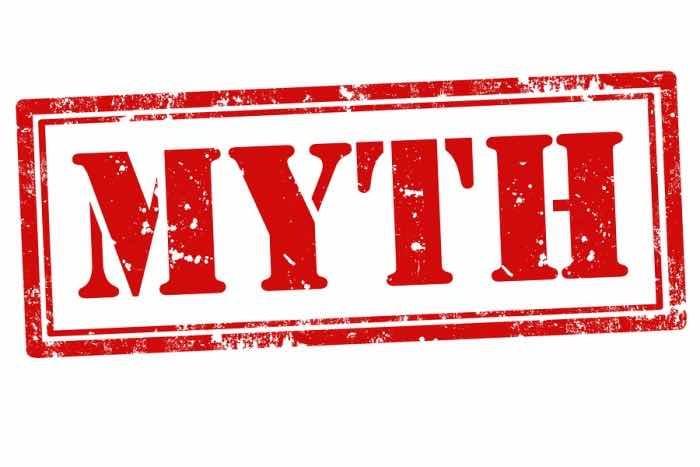 Rather than entering university loaded up with misconceptions, we thought we would debunk a series of myths! Why realize what is and isn’t true after the fact when you can go in prepared? Here is part 2 of Myths about Freshman Year. It is quite common for new college students to put on weight during their first year, but it is not a given like most assume. College weight gain is often a result of a drastic change in eating habits and a lack of physical activity. Many students go from eating a more balanced meal back home and playing after school sports to over-indulging at the all-you-can-eat dining commons. That, plus the freedom to party. Pizza and fries for dinner plus Friday night keg stands are a combination sure to trigger weight gain. Add in a bit of stress and you’ve got yourself in a pickle. However, it’s entirely possible to avoid the shock to your body if you simply treat yourself well. Enjoy the dining commons food but make sure you are eating balanced meals. Go to parties and have fun, but drink in moderation. And, most importantly, exercise! There are rec centers and club sports for a reason! University is a time for exploration… for finding yourself and figuring out who and what you want to be. Many students enter university undeclared with the intention of nailing down their professional interests after taking a handful of classes. Whether you want to explore a couple of areas of study before making the big decision, or you literally have no idea what you want to do, do not enter university under the assumption that you need to declare your major as soon as you settle in. If you’re unsure, take a semester or two of classes, work a learnership and then decide. You may think you’re interested in accounting, only to find that you were thoroughly intrigued by psychology! Or, you may immerse yourself in a particular work environment and find that you cannot see yourself in that field post-graduation. Take the time you need and make it count. While attending parties is part of the college experience, you won’t be considered the lame kid down the hall if you turn down an invite in exchange for a mellow night in. Partying isn’t for everyone and the fact of the matter is that you enrolled in university for your higher education, not to be social. School comes first, your social life comes second. If you’ve got a big deadline to meet and you need to dedicate your Friday night to homework, then it sounds like you’ve got a hot date with your laptop! If you surround yourself with the right kind of friends, they will understand if you choose to skip parties, whether for homework purposes or simply because you don’t feel like it. You should never feel pressured to do anything you aren’t comfortable doing. Many universities let you choose your roommate for your first year, if there is someone that you’d like to live with. If you decide to go that route, we would advise that you avoid living with your best friend from home and consider bunking with someone you met at orientation. This allows you to explore new relationships and will help you avoid putting any strain on an existing friendship. University course work is quite difference from high school, in that there are higher expectations, the work load is greater and there isn’t as much leeway. Professors often assign huge chunks of reading and essays to be completed by the next class. Doesn’t sound so bad, until you remember that most other professors are assigning similar tasks, and the next thing you know you are looking at 300 pages of reading and 10 pages of writing within 2 days’ time. Falling behind on course material can happen to anyone, but some students make the mistake of assuming that once they’re behind, there is no way they can cover all of the missed material. Once they are convinced that they can’t catch up, they let the class slip between their fingertips until the semester is suddenly over and their grades have suffered greatly. Yes, it’s hard to catch up when the workload is so heavy, but if you allocate your time correctly it is perfectly possible. Know when you need to tone down your social life and pick up the books! Stay tuned for the next installment of Myths about Freshman Year!